San Antonio, FL, April 05, 2019 --(PR.com)-- Ophthalmics, Inc., a leading supplier of eye care supplies for ophthalmic and optometric practices, is now a direct distributor for Bausch Health. Customers are encouraged to visit Ophthalmics, Inc.’s website at www.shophthalmics.com to find Bausch Health’s line of industry leading pharmaceuticals. Ophthalmology and optometry practices can purchase these products from Ophthalmics, Inc at www.shophthalmics.com or by calling toll-free 833-568-4016. 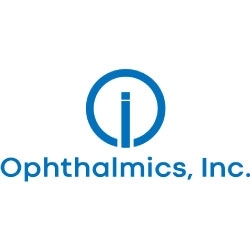 Founded in 2018, Ophthalmics, Inc. is a leading supplier of eye care supplies to ophthalmic and optometric practices. Its mission is to be the premier wholesale distributor of eye care supplies in the USA. By using state of the art technology and aligning with the best manufacturers, Ophthalmics, Inc. is creating a marketplace that is second to none. Click here to view the list of recent Press Releases from Ophthalmics, Inc.